What a perfect day in Sydney. 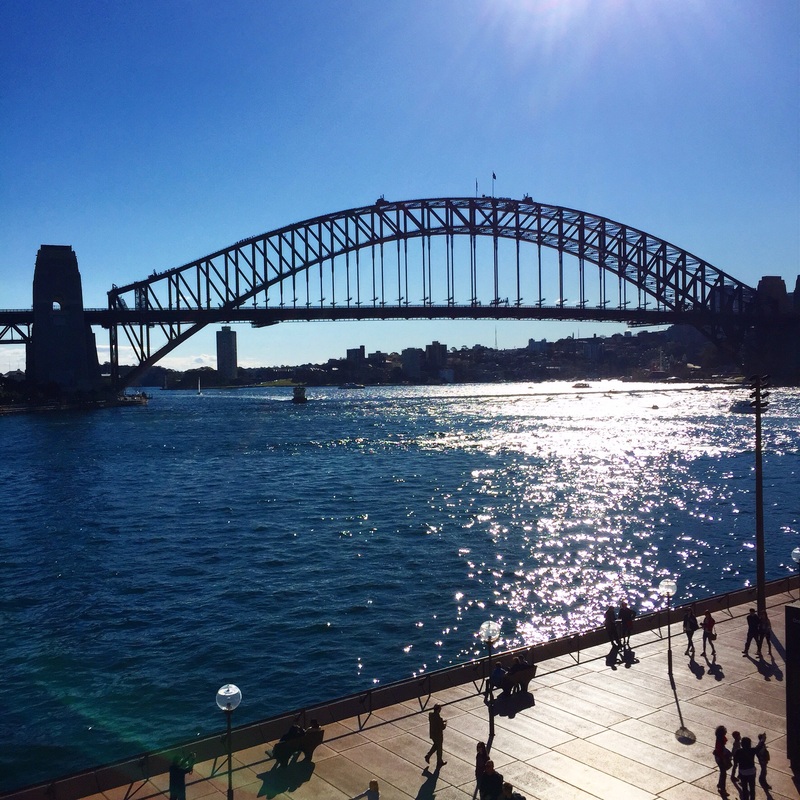 Is there anything more iconic and awe inspiring than the Sydney Harbour Bridge on a sunny warm winters day? 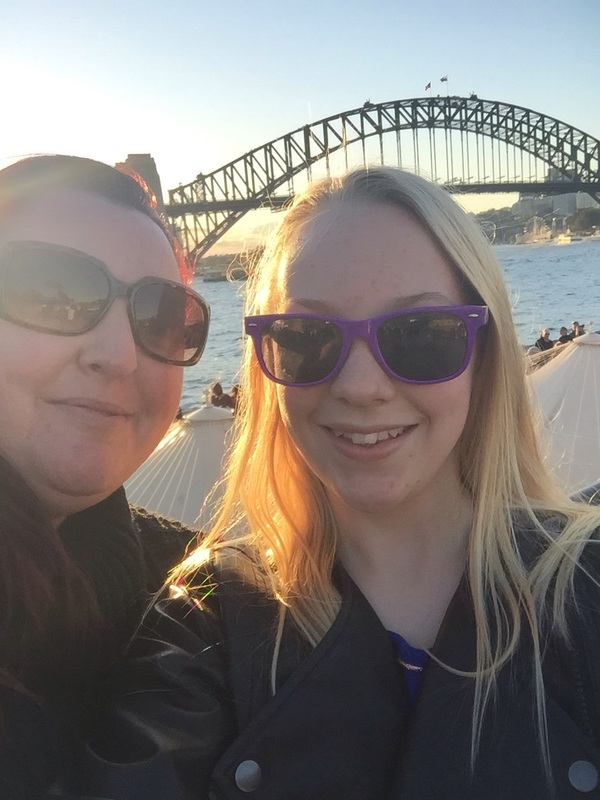 In July, Devaney and I headed to Sydney for a concert. Not a rock or pop concert, but the Sydney Symphony Orchestra playing the scores to a number of Tim Burton movies at the Opera House. My daughter is a fan of the ghoulish, the dark, the sombre, the weird. She’s seen many a Tim Burton movie and what better way to introduce her to the SSO than with the music from her favourite films. We watched, listened and wondered at the scenes from the cult classics – Edward Scissorhands, Nightmare Before Christmas, Beetlejuice, Alice in Wonderland, Charlie and The Chocolate factory to name a few. It was awesome, surreal, and we didn’t want it to end, but end it did. 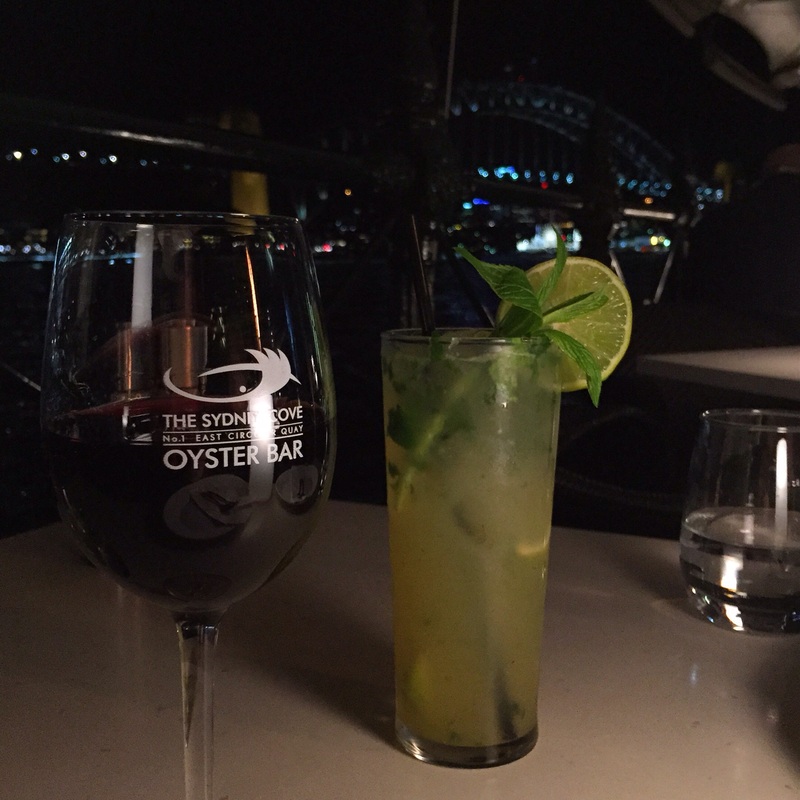 My next treat for Dev was dinner at the Sydney Cover Oyster Bar. I love this place. I’d been once before with my dad when seeing the London Symphony Orchestra last year, but we had drinks only, and I was determined to visit again for dinner. Dev is a new convert to oysters, much to my chagrin, now I have to share. It’s expensive having a daughter who likes the finer things in life (but secretly I’m terribly pleased). Entree was oysters Kilpatrick to share. 3 each, not really a lot when you think about it. Or eat it. Should’ve ordered more. 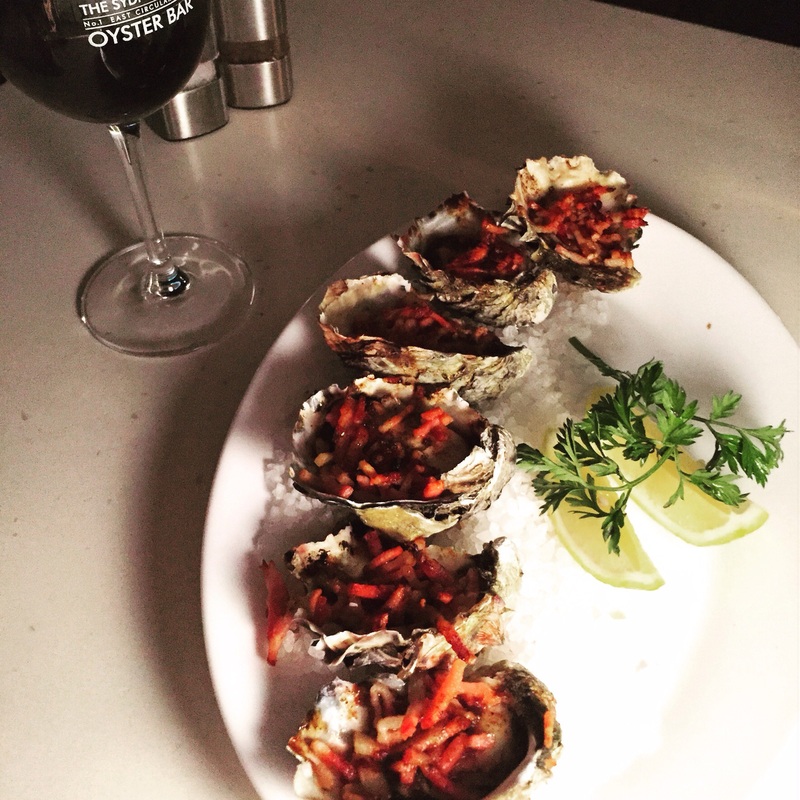 They were pretty terrific, the oysters fresh and briny, with a fleshiness to them that showed a talent in not cooking oysters to a rubbery pebble, which can easily happen with Kilpatrick. Nice, fat and creamy, with lots of crispy bacon and tangy Worcestershire sauce. Just how they should be. 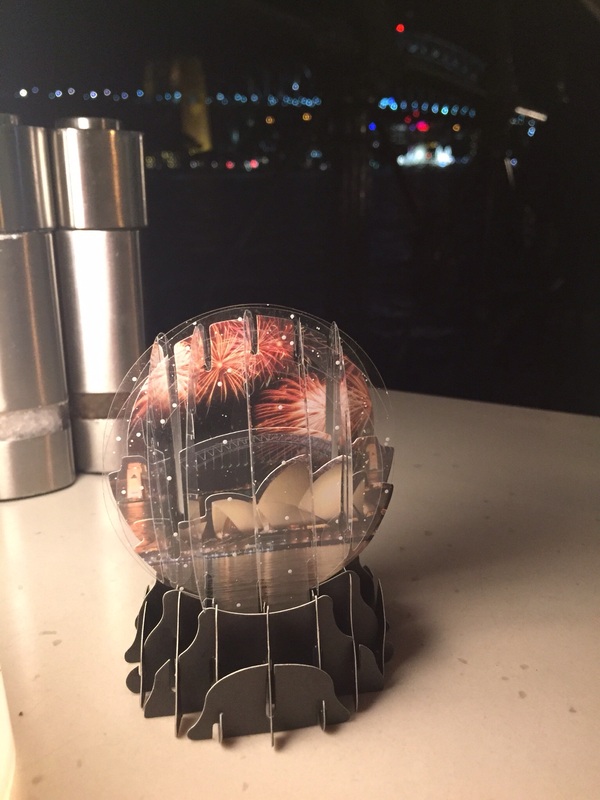 Devaney loves all things paper, and all things snow globes, so this trinket from the Opera House store was perfect for her, a paper snow globe, looking pretty against the backdrop of the real thing. Next up was a little complimentary treat from the owner. She follows The Food Marshall and when she found out that I was there with an oyster eating 12 year old she was excited to see just how experimental Devaney really was. 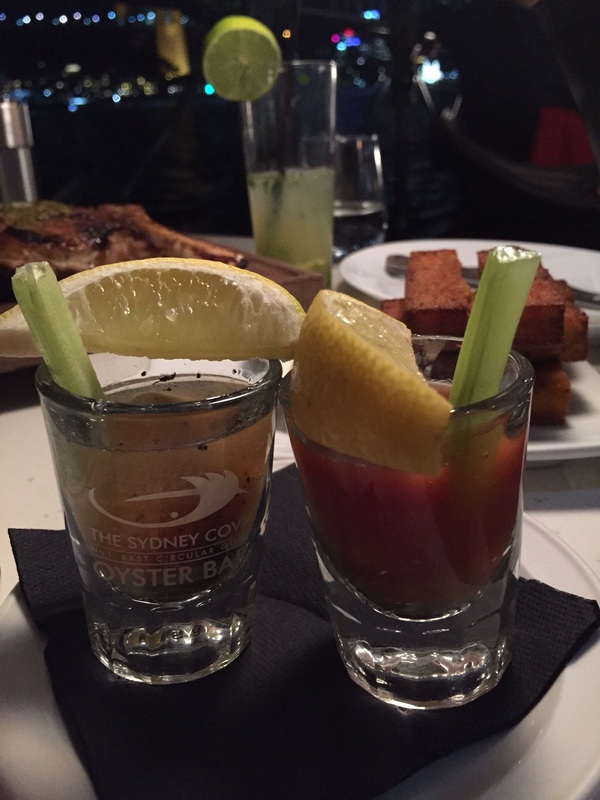 Oyster shots, Bloody Mary for me, Virgin Mary for Dev. Down the hatch. Not a fan. Bless her cotton socks, though, she swallowed it. Dinner was a shared 400gm rib eye on the bone with onion jam, cafe de Paris butter and a pot of blue cheese sauce. Did I mention Devaney also has a taste for blue cheese? She scoffed the entire bowl of that sauce, dipping hot fat crispy truffled polenta chips and her cut of the steak into the sauce. I was to be left happy with the onion jam. Deliciously well seasoned tender steak, the bone begging to be sucked of all it’s juices, to which I obliged. This also, could’ve been a meal just for one, but I’m a sharer. Dessert. 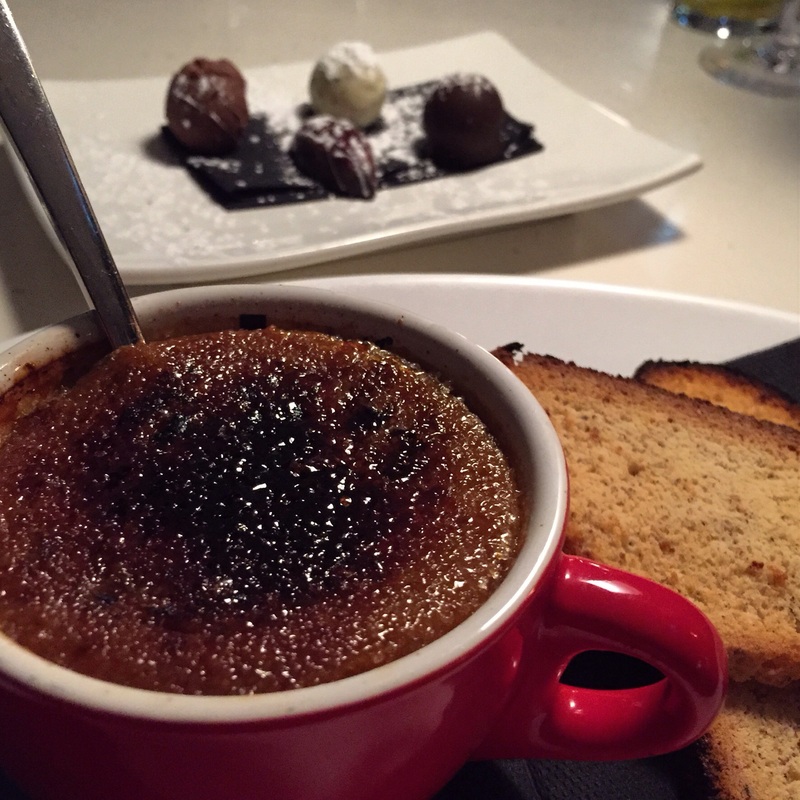 What a shame the cappuccino creme brûlée was curdled. So disappointing. I love creme brûlée. The owner was mortified and took the dessert straight off our bill, and off the menu, saying they were probably all curdled. Nothing worse than curdled creme brûlée, I really felt for the chef, but good on them for recognising the issue and fixing it straight away. The service all night was excellent. But the same can be said for when I first visited, this place really sets itself apart from others on the wharf. They seem really excited to work in such a magnificent environment. Dev really wanted the Kawaka handmade chocolates, but with 8 in the selection it was a little too much choccy, even for her. The waitress was very comprising and made a plate of 4, and charged accordingly. Again, another service win. I couldn’t fit another thing in. We sat for a while longer, enjoying the fluffy red blankets draped over our knees, the warmth from the overhead heaters keeping the July chill off, the nightlife so fascinating even in the middle of winter. What a wonderful evening spent with my delightful daughter. 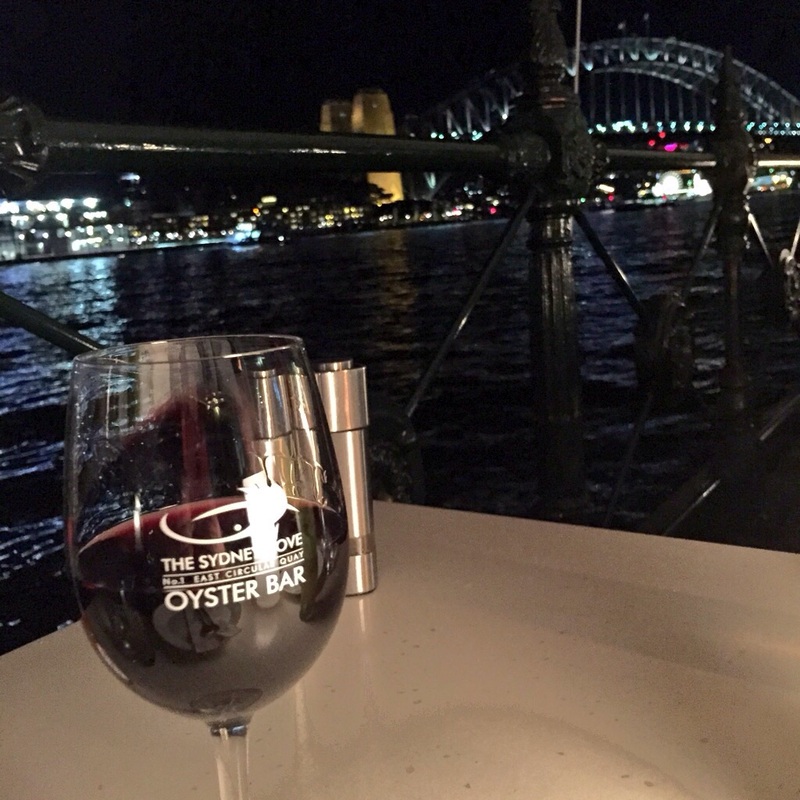 I still love the Sydney Cove Oyster Bar, and encourage anyone who’s in the area, to hang the expense, go and enjoy Sydney Harbour at it’s finest. 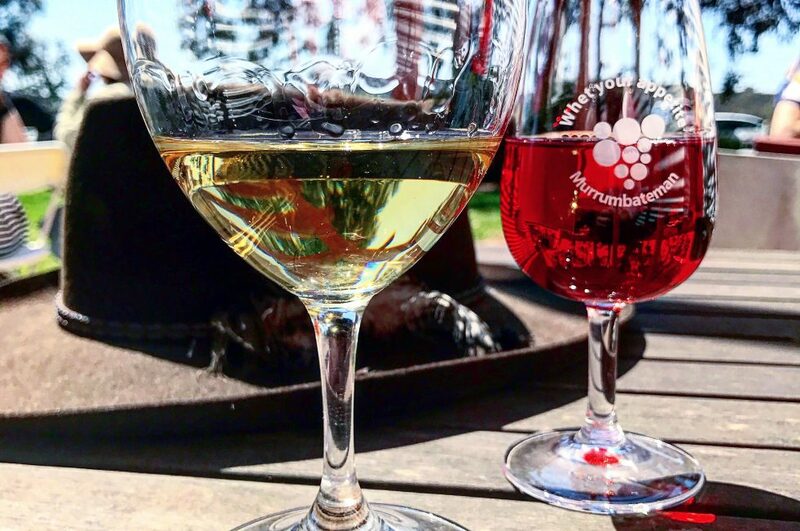 Next Post Australia’s Best Wines – Where are the Canberra Drops? Looks lovely Fran. 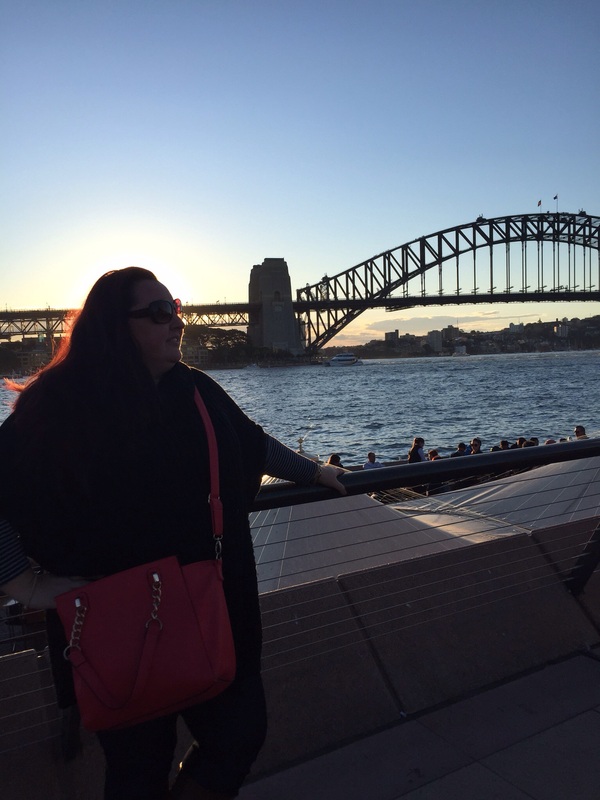 Nice view of the Sydney Harbour Bridge. Lovely venue for the dinner. The dishes look tantalising. 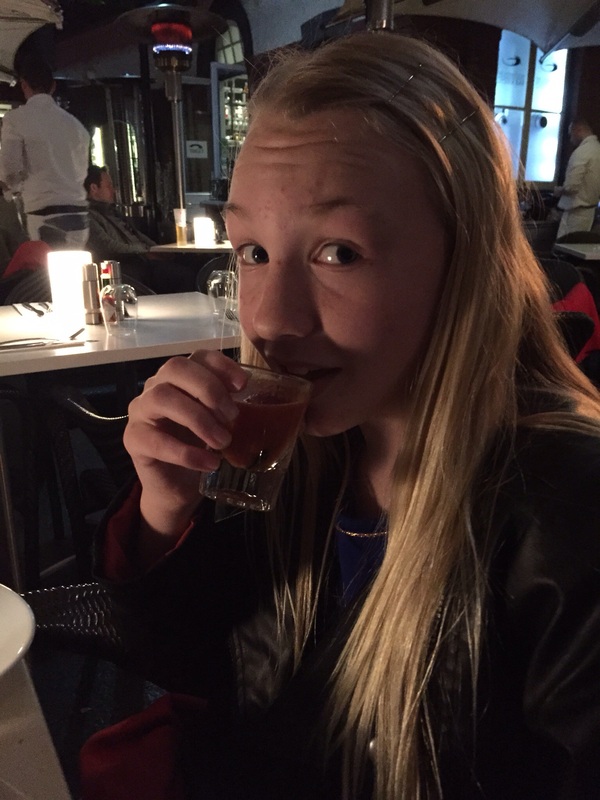 Your daughter’s taste buds are refined, and the two of you looked as though you had a fantastic time. Yippee. I’ve heard good things about this place!